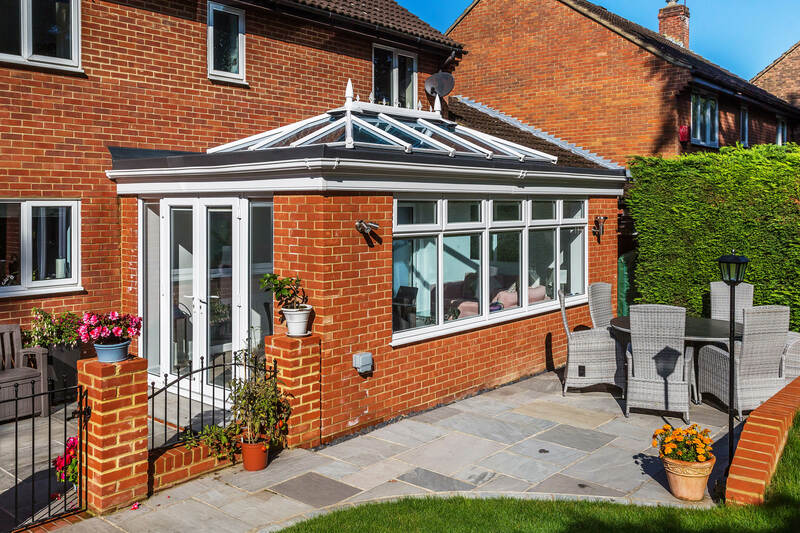 The completed orangery roof lantern met all the specifications we gave, making sure that the structure complemented the existing property style and delivered the performance we required. Castle were approached by Mr & Mrs Groombridge who wanted to discuss the options available for building an orangery that would tie-in with the architectural style of their main property. The traditional orangery they wanted us to build would be of a considerable scale, as well as retaining the couples privacy – without feeling too enclosed. Mr & Mrs Groombridge wanted the room to work as a dining room and lounge area. We recommended a lantern-style roof because it excels at letting in light. Mr and Mrs Groombridge were pleased to hear that we could also project manage every other aspect of the build for them as well. The completed orangery roof lantern met all the specifications Castle Conservatories were given for the project. We made sure that the structure complemented the existing property style and delivered the performance that was required. 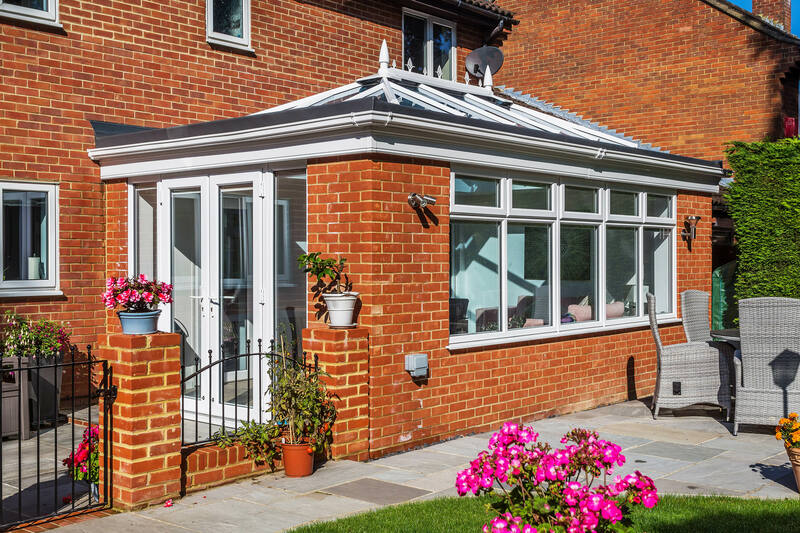 Contact the Castle Conservatories team to discuss your home extension requirements. Our bespoke and consultative approach will enable us to make your project the success it deserves to be. Explore our products in VR today. 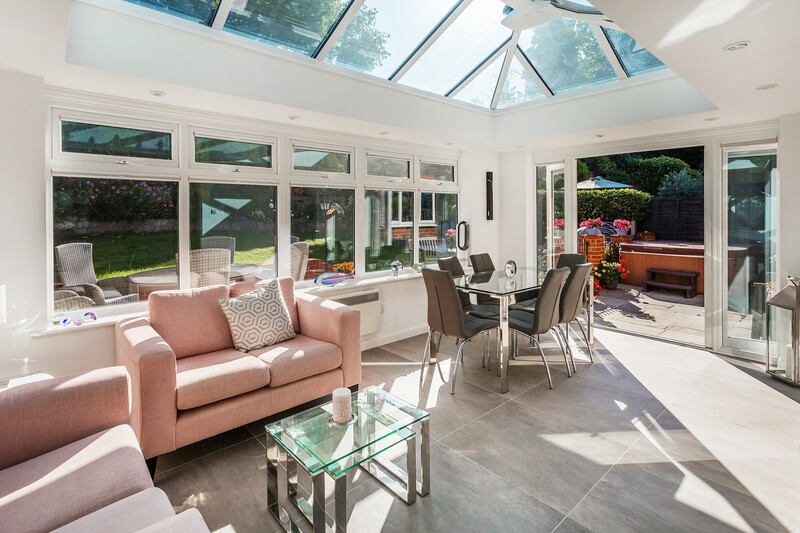 The high-grade quality of our products – coupled together with our experience – allowed us to create an orangery room that delighted our customers. We used a modern lantern roof as the focal point for the room. Because it features fewer bars than other products, there are less barriers to light. This roof system also acts as a decorative feature in its own right, instantly creating a focal point. Light is also transmitted through the windows. To maintain privacy, we opted not to use full-height glazing. The lounge-diner feels bright and spacious but still delivers privacy, enough to be used as an area for relaxation or entertaining without being overlooked. Sunlight is also able to filter through into the main body of the home via a set of interior French doors. 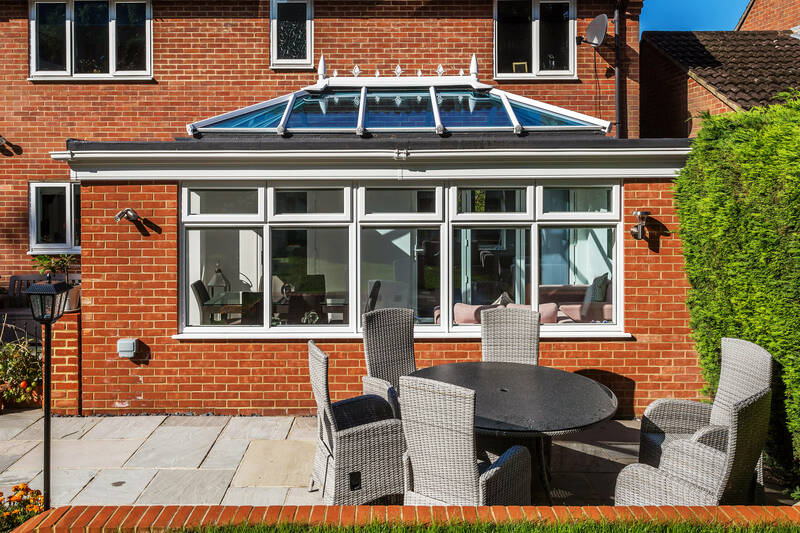 We recommended this approach to help reinforce a sense of connectivity between the roof lantern orangery and the main body of the property. The roof lantern orangery we were instructed to build would act as a connecting point that joined the home to the garden. As such, it would need to make access easy for the family and anyone else who came to visit them. We built the room using a rectangular format, so that no space would be wasted. 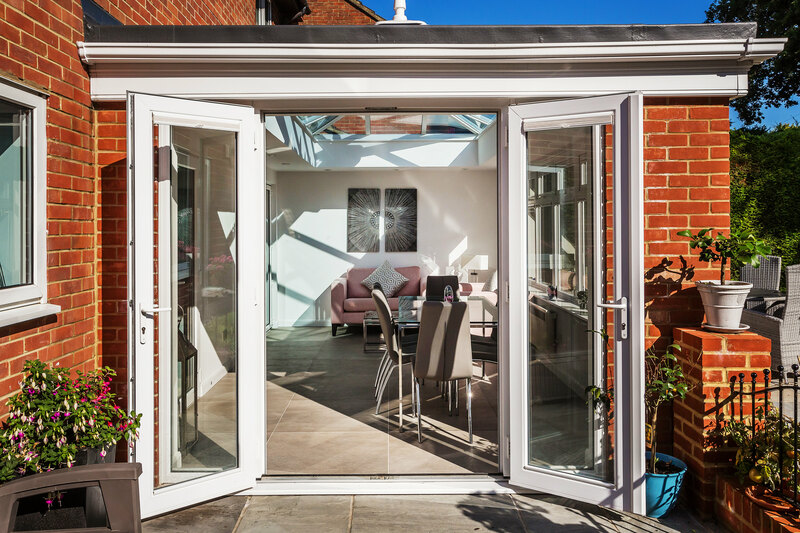 Access is created via two French doors – one internal, the other external. The external French doors also frame a pleasing view of a small courtyard, which is separated from the main body of the garden by a brick wall. Although there is separation, all spaces are visible to each other and feel properly connected. The same masonry was used to construct the roof lantern orangery as with the main body of the home. The seamless design we achieved improves market appeal and creates a sense of presence. The window frames, doors and roof lantern are constructed from white uPVC. Again, this means that the appearance of Mr and Mrs Groombridge’s home is successfully echoed in the design of their brand new orangery. Design yours today. The appearance of the roof lantern orangery we built is underscored by incredible performance. The glazing blocks the majority of UV rays and also prevents heat escaping. This makes the room suitable for year-round use, while lowering energy costs. We only use high-grade materials and products made by the best manufacturers. 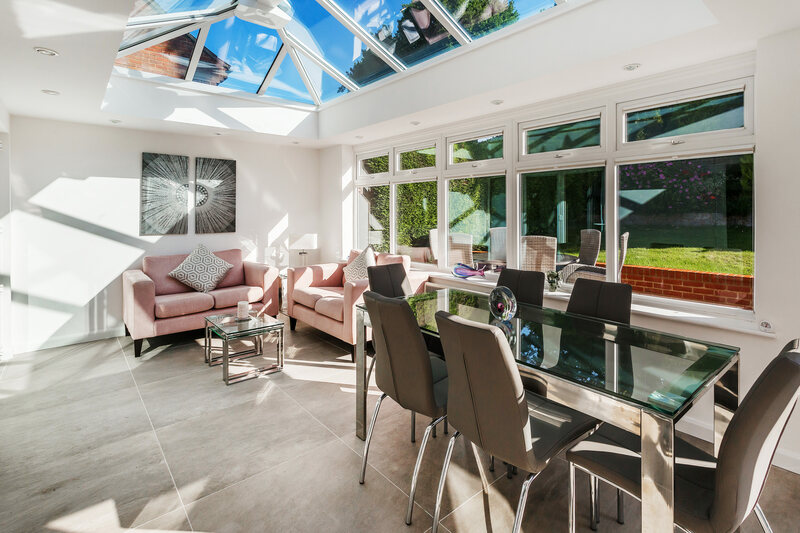 The roof lantern orangery we built for Mr & Mrs Groombridge will provide long-term value and will be unaffected by the ever-changing conditions of British weather. We will project manage the entire process so that you only ever have to worry about one point of contact. Our in-depth knowledge of the products we sell – when joined together with our extensive experience – means that we’re perfectly positioned to make your dreams a reality. 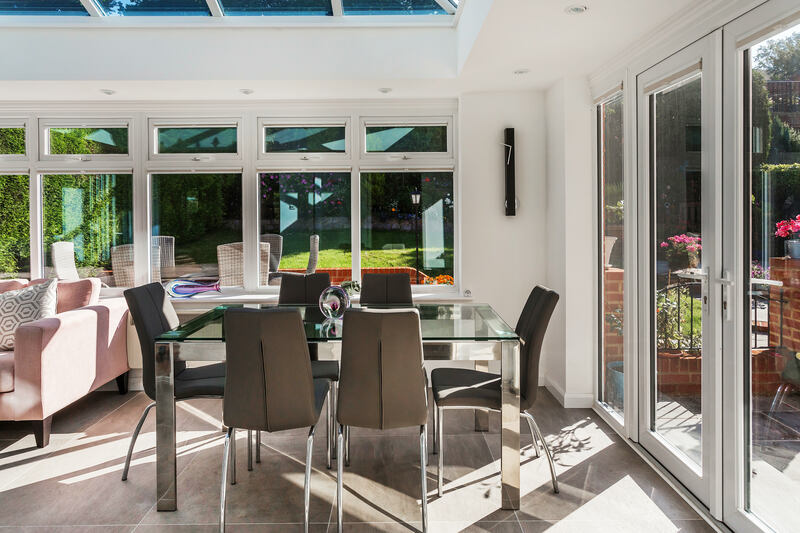 If you want to enjoy the benefits of a high-end orangery, conservatory or extension but don’t know where to start, contact us. You can also begin your design journey by accessing our free design app using your laptop, mobile, tablet or home PC. Why not explore ideas in VR.